The beautiful Emerald Seas resort is located right on the Atlantic Ocean with stunning views and access to the boardwalk and private sandy beach. The location includes two outdoor pools, one of which is heated. Laundry is on site for your convenience. The resort has a large barbecue grill for cookouts. This is an excellent location for relaxation, sun tanning on the beach, and enjoying Florida's gorgeous weather. Units are air-conditioned and have high-definition cable television. Your partial kitchen features a microwave oven, full-size refrigerator, toaster oven, blender and stove burners but not a conventional oven. Studio units have 1 bath, 1 double bed or a double Murphy bed along with a queen sleeper sofa. 1BR units have 2 double beds or 1 double bed and 1 queen sleep sofa. 2BR units have 2 baths, 2 double beds & 2 single beds or 4 double beds along with a queen sleeper sofa. A credit card security imprint is required at check-in and only charged if damages or all room keys are not returned. Pets are not allowed. Parking is limited to one space per unit. Vehicle must fit in (1) parking spot as trailers and campers are not allowed. Office hours: 9am-4:30pm Mon-Fri, 9am-5:30pm Saturday and 11am-3pm Sunday. 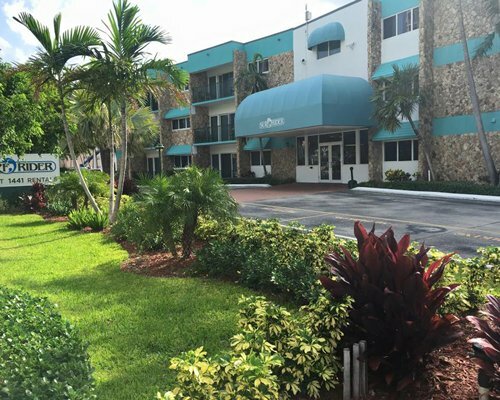 You must call the resort at (954)427-1300 DURING BUSINESS HOURS to schedule a late arrival. You will need the late arrival lock box details in order to check-in after hours. 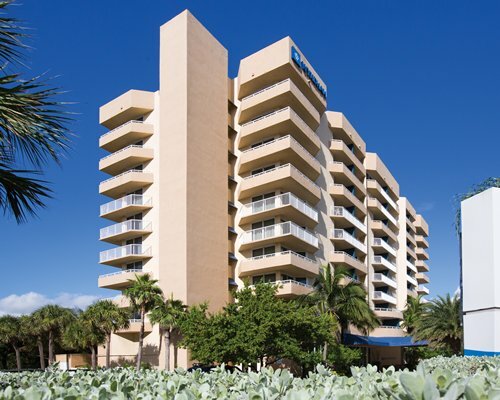 The closest commercial airport to the resort is in Fort Lauderdale, approximately 29 miles away. From the airport, take I-95 north to Hillsboro Blvd. Exit at Deerfield Beach, go east to North Ocean Blvd. (Route A1A) and turn left (north). The resort is about 1/2 mile further on the right. The Palm Beach International airport is approximately 31 miles away. Go to I-95 South, exit Hillsboro Blvd. at Deerfield Beach, go east to A1A (North Ocean Blvd. ), turn left (north). The resort is about 1/2 mile on the right. 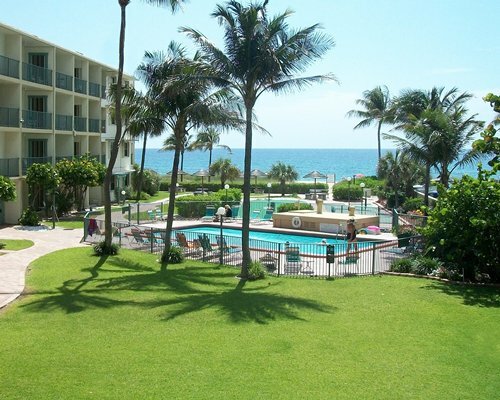 Florida's sunny Deerfield Beach is the perfect setting for the Emerald Seas resort. This beach town offers restaurants, shopping, and a variety of water sports everyone in the family can enjoy. 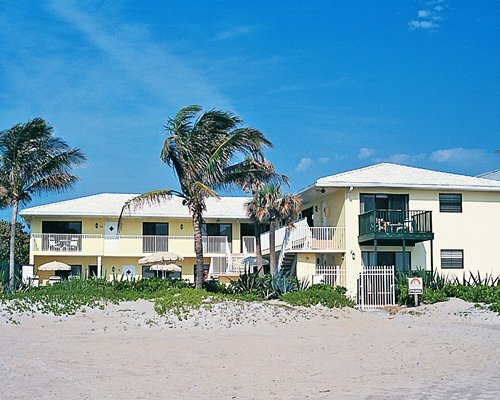 Nearby activities include water skiing, boating, surfing, and parasailing. Deep-sea fishing charters are available at several local marinas, and a 700-foot fishing pier is a short walk away from the resort. Activities for land lovers include tennis, golf, jai alai, biking, and horseback riding, just to name a few! A grocery store, live entertainment, and medical facility are all nearby as well. Call 954/427-1300 during business hours to obtain a lockbox combination for your unit's key and information.